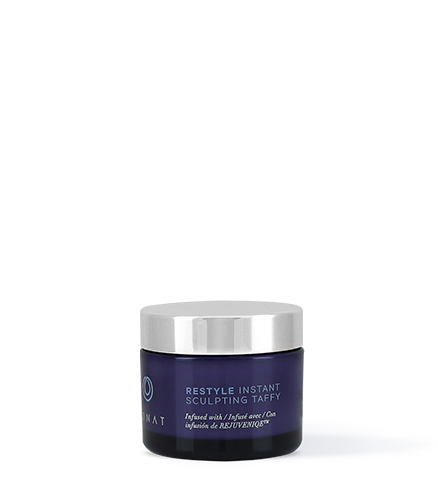 To learn more about Restyle Instant Sculpting Taffy, please contact your MONAT Market Partner. 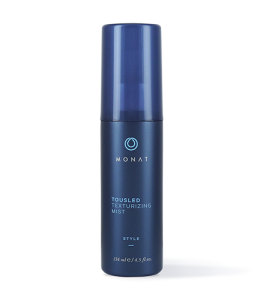 Instantly brings vitality to hair with its unique combination of natural botanicals in a pliable sculpting base. Amplify and enhance your hairstyles with immediate results that can last all day and into the night. If longer-lasting style is what you seek, look no further. Up the vitality with this unique pliable sculpting base, enriched with a blend of natural botanicals that strengthen and thicken hair. 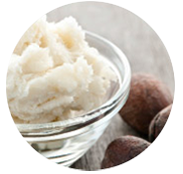 To activate, rub a small amount between your palms until the product is warm and transparent. Apply and distribute throughout your hair to achieve your desired style. Water (Aqua), Maltodextrin/VP Copolymer, Butyrospermum Parkii (Shea) Butter, Cetyl Alcohol, Heptyl Undecylenate, Propanediol, Hydrogenated Castor Oil, Copernica Cerifera (Carnauba) Wax, Cetearyl Alcohol, Cetyl Hydroxyethylcellulose, Steareth-21, Glycerin, Trifolium Prantense (Clover) Flower Extract, Pisum Sativum (Pea) Extract, Limnanthes Alba (Meadowfoam) Seed Oil, Crambe Abyssinica Seed Oil, Camellia Oleifera Seed Oil, Solanum Lycopersicum (Tomato) Seed Oil, Daucus Carota Sativa (Carrot) Seed Oil, Citrus Medica Limonum (Lemon) Peel Oil, Citrus Aurantifolia (Lime) Oil, Citrus Aurantium Bergamia (Bergamot) Fruit Oil, Adansonia Digitata Oil, Mauritia Flexuosa Fruit Oil, Cocos Nucifera (Coconut) Oil, Gardenia Tahitensis Flower Extract, Moringa Oleifera Seed Oil, Caryocar Brasiliense Fruit Oil, Helianthus Annuus (Sunflower) Seed Oil, Tocopherol, Wheat Amino Acids, Soy Amino Acids, Arginine HCL, Serine, Threonine, Acetyl Tetrapeptide-3, Cinnamidopropyltrimonium Chloride, Dextran, Ceteareth-20, Polyquaternium-10, Fragrance (Parfum), Butylene Glycol, Ethylhexylglycerin, Benzyl Alcohol.